Nepal Telecom has reopened the balance transfer facility, which was closed for some time. Which means now there is no compulsory need to recharge the balance of NRs 100. 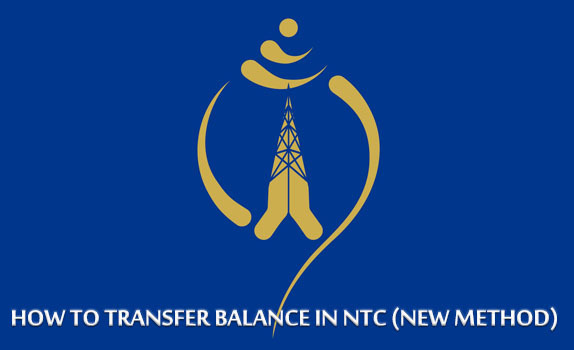 NTC users can transfer the balance starting from Nrs. 10 to NRs. 100 only. You can only transfer the balance starting from Nrs.10 to Nrs.100 only. You can only transfer the balance 5 times (limited) in 24 hours. You can transfer the balance to GSM prepaid and CDMA (Postpaid/Prepaid) users. You don't need to convert the Rs into Paisa (that you have done before) to transfer the balance. Note Again: You don't need to convert Rs into Paisa in order to transfer. Suppose if you want to transfer Rs.20 you need to add 20, not 2000. How to Know Your Security Code Number? If you have forgotten you sim security code number then Go to Message Box and Type scode and send it to 1400. You will receive your Security Code within a minute. may be nepal telecom has discontinued this service.